What is health? It is more than not being ill-good health is a state of physical and mental well-being. Our thoughts and feelings affect our physical health. 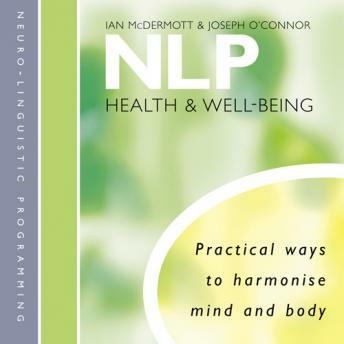 NLP studies the way out thinking can influence our health. recognize and deal with worry and stress, become calmer, change your emotional state so you are more resistant to ilness, deal with insomnia, start to create the healthy future you want. This CD includes practical, guided exercises to help you bring your mind and body into harmony.